During March 11 – 17, 2019, an OGP – Open Government Partnership forum was held as part of the OpenGov Week celebration. The forum brought together nearly 100 participants from several ministries, public institutions, representatives of civil society as well as international donors in the field of open government. 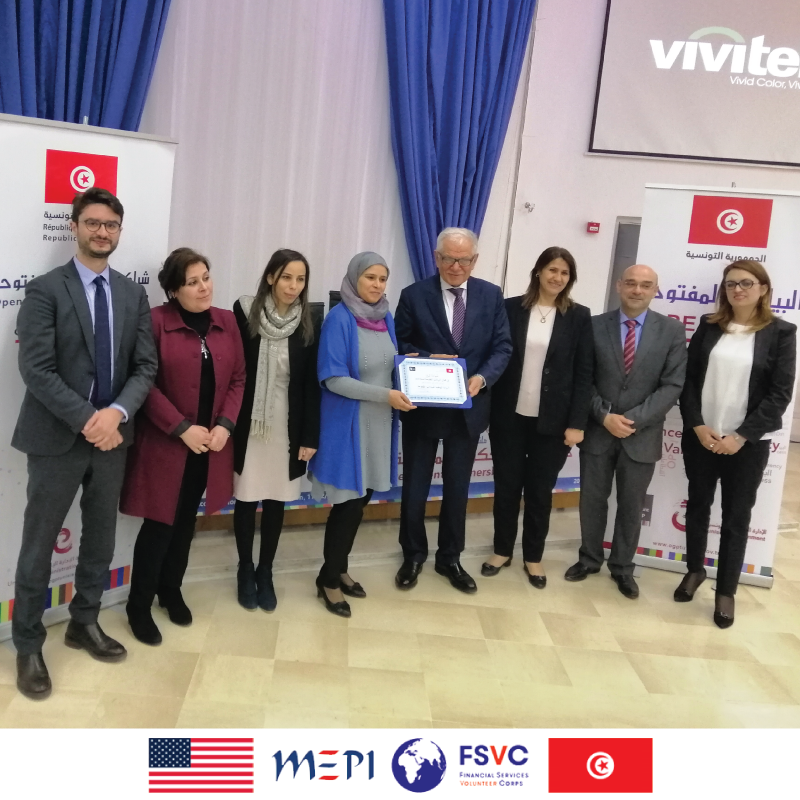 The OpenGov Week was an opportunity to present the ongoing progress in implementing the second OGP National Action Plan and honor the most significant Open Data initiatives in Tunisia that meet with international standards of open data. The Minister of Public Service, Modernization of Administration and Public Policy, honored the open data initiative for municipalities “Openbaladiati.tn” portal that is developed through “Onshor” Porgram by FSVC. Since the official launch of the portal, during May 2018, 145 datasets have been published in open format by 53 municipalities: http://openbaladiati.tn/ . The Minister also honored the leading National Government Institutions working on enhancing Open Data disclosure which are the Ministry of Transport and the Ministry of Agriculture for successfully developing the sectorial open data portals with the support of “Onshor” Porgram by FSVC.